YAYASSSS, Spring is here! So that means... more excuses to switch up my clothes, and fill my wardrobe with really pretty colours. I realised my wardrobe starts becoming more dull towards the end of the year, it's only during summer and spring that I get to introduce brighter and happier pieces. Alot of you guys asked me where I usually do my shopping. While I shop online sometimes, I do like to go down to the conventional brick and mortar retail shops to get my hands on the pieces. Afterall, that's the best way to make sure i'm getting what I want, of the right material and right fit. Yes? I'll usually choose malls that have a wide range of food and fashion stores because that gives me a lot more choices and nobody complains about having too much to choose from right? Because I'm always around City Hall a lot, Marina Square has been my go-to shopping mall. Not only for food and desserts, but also clothes and accessories! 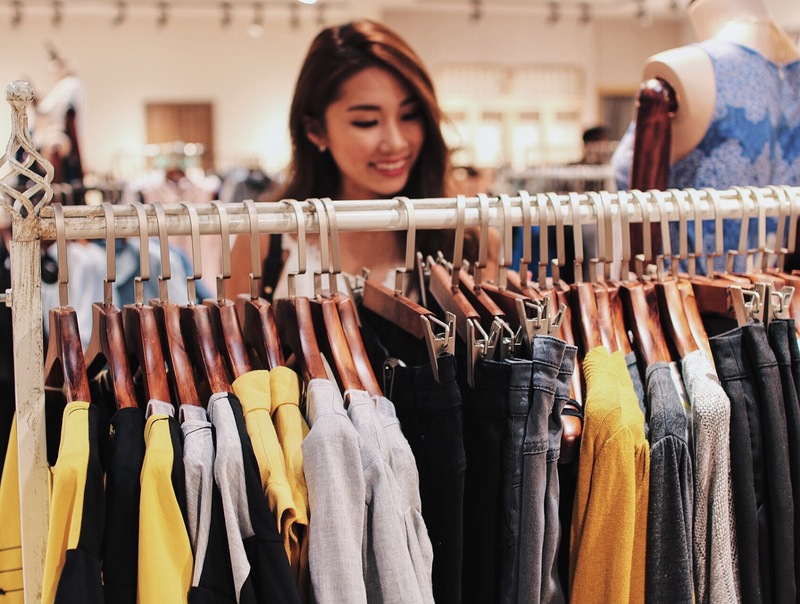 I visited 6 different fashion stores to check out their latest spring collections. But if you guys have the time to, be sure to comb the entire mall because there are lots of rewards to be won if you spend from the 8th April to 30th April 2016. More details on rewards can be found here. First up, Promod - I've always noticed this brand for their really casual and laidback, bohemian vibe pieces. But for some reason, I never owned any pieces from them before. But lo and behold, what drew me in was this gorgeous saddle purse that caught my attention immediately. Look at how cute it is, the right size, the shape and even right down to the braid details. Much much love! I then decided to pair my outfit around this gorgeous item. Because Promod is a brand that carries really laid back, comfy, everyday pieces, I decided to go with a pair of super soft ribbed jeans for this look. Another item that I couldn't pass were these loafers. Khaki green? Yes, that's calling out to me! 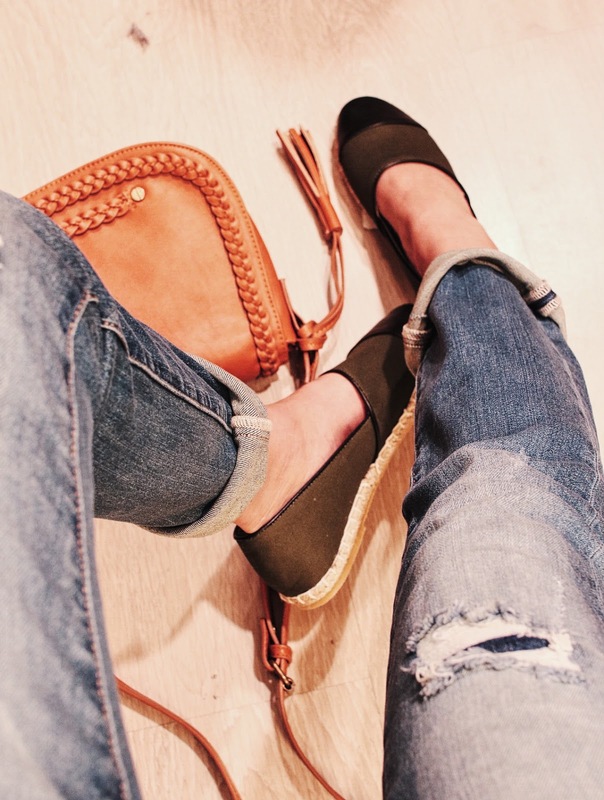 Here you go, a way you can still keep your jeans in your closet for a little longer. 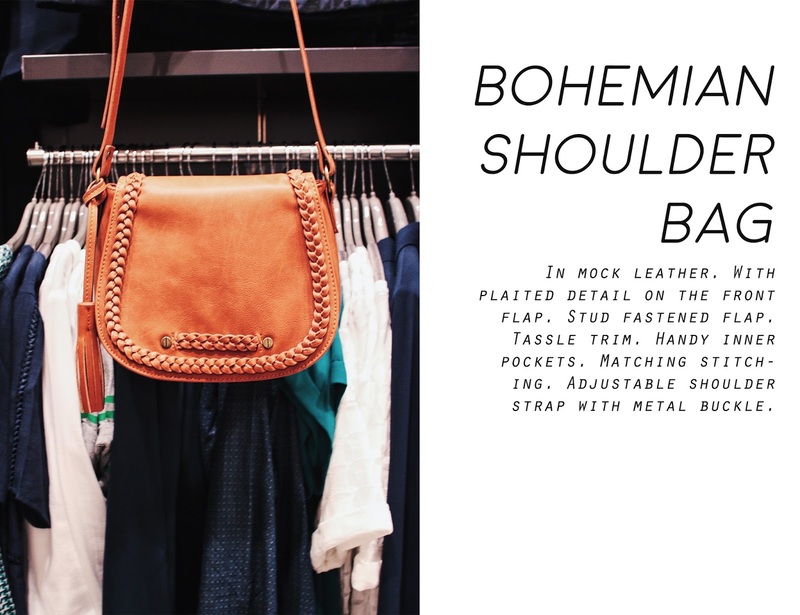 Simply roll the bottom like I did for a more slack vibe, accessorize with things that are bright like this saddle bag in a light brown shade. A soft, flowy printed top will complete the chill look you're going for. Next up, we got some accessories too! 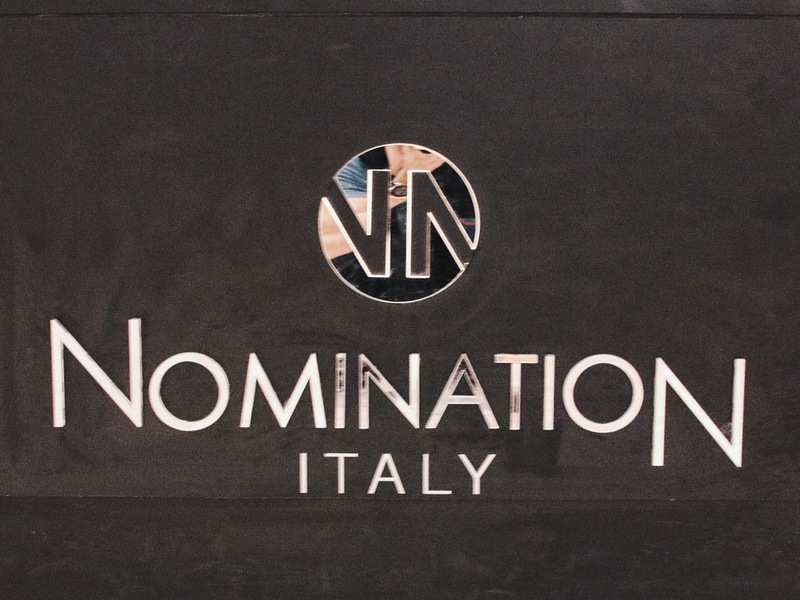 Nomination Italy is conveniently situated right outside Zara, so you wont miss it for sure. Accessories are crucial to an entire look, i'm sure you guys already know that. I love styling my outfits with easy to match pieces, and here are some new arrivals from their spring collection that I couldn't bear to leave without. The Angel Necklace, LOOK HOW DAINTY it is?! 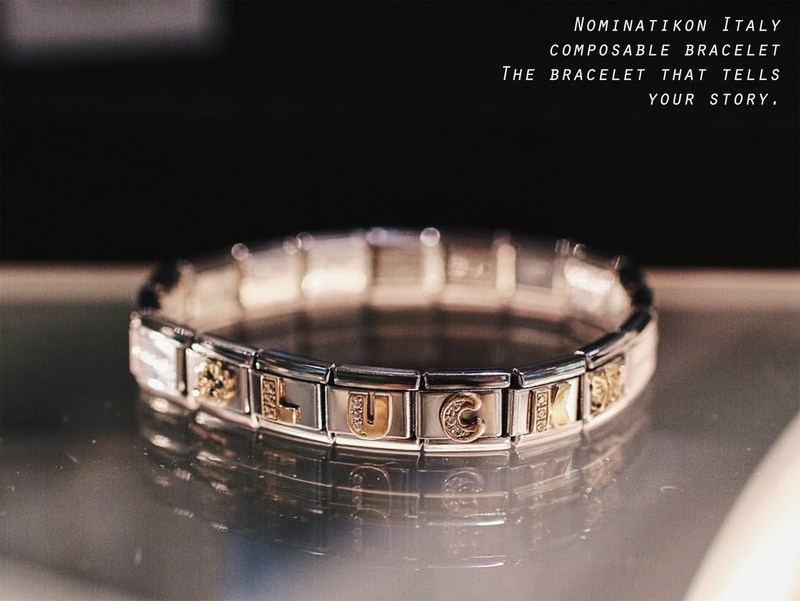 Apart from the angel necklaces, I also checked out Nomination Italy's classic, the composable bracelet. With the composable bracelet, you can put together charms that tell your story. Be it symbols, words, or designs, you can piece them together to make it your own. Now if you're a fan of Nomination Italy, you can participate in this really simple Instagram Photo contest and one winner will walk away with $500 voucher, while 5 others will bag home $100 vouchers each! 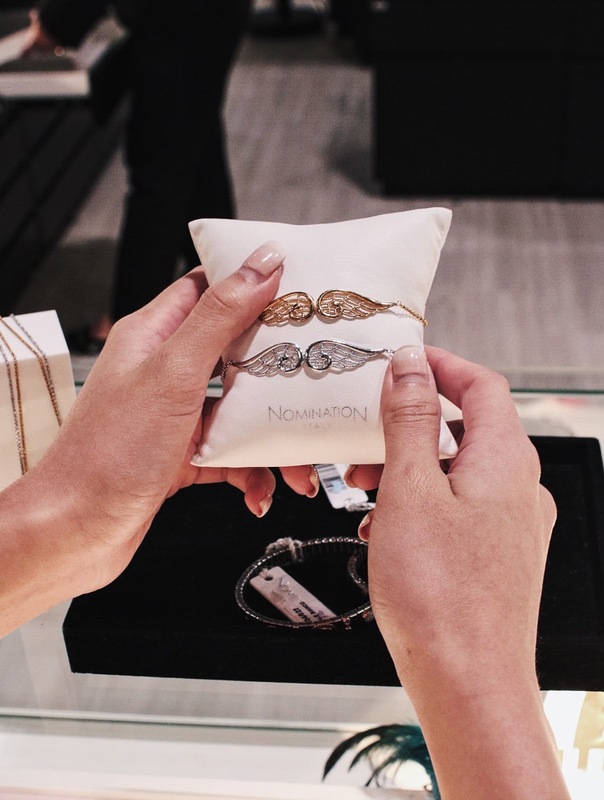 All you have to do is post on Instagram, a photo of your favourite Nomination Italy Bracelet, tag @marinasquaresg and #nominationitaly and you're on the road to winning! This contest ends on 30th April, 2016 1159PM so do send in your entries by then. Afterwards, we moved into ZARA that was situated just next to Nomination Italy. 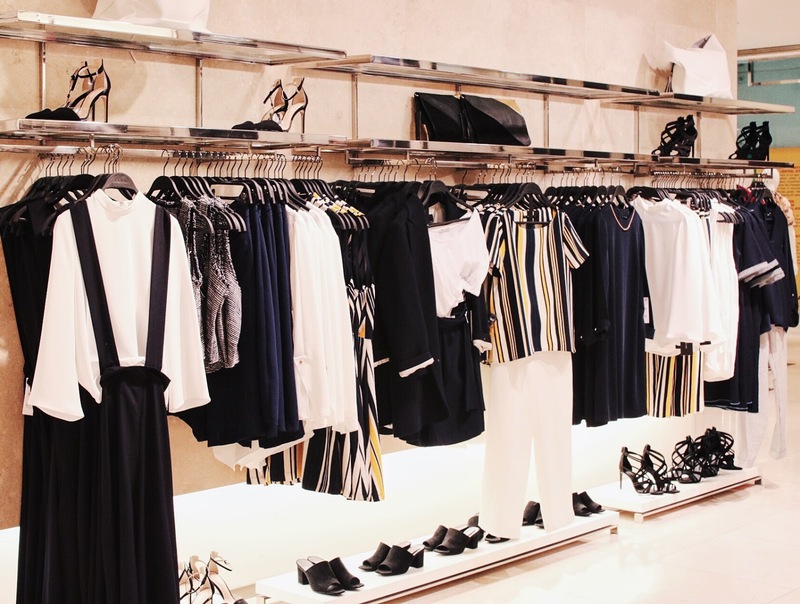 ZARA's Spring collections feature lots of colors, floral prints and generally more girly trends. But of course, not losing the usual cool, minimal ZARA vibe everyone's crazy about. 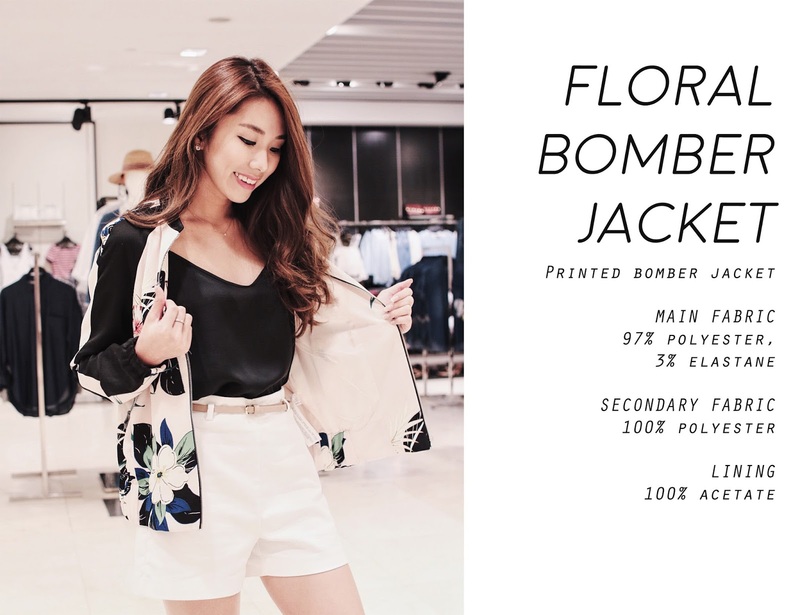 I picked out this Floral Bomber Jacket to be the centre piece of this look. It consists of big floral patterns, baby pink fabric and is super duper comfy. Because of the baby pink hues, I decided to match it with a pair of white tailored shorts, cream belt and baby pink strappy heels. Easy, quick and put together in just 5 mins! 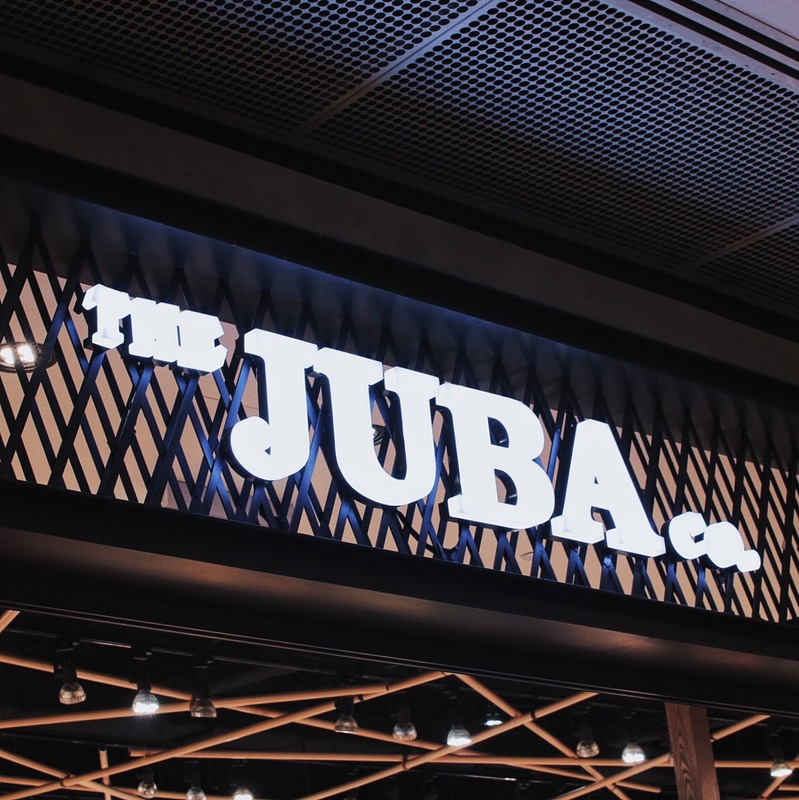 The Juba Co is also another brand I wasn't familiar with, but am so glad I managed to visit because they wowed me with their rustic and vintage designs. They even have a corner in the shop that mimics the rustic mood from the 80s. Super intricately decorated, girly and feminine. While going girl-y isn't what i'm normally used to, I was drawn to this really pretty denim piece that was shown to me by the helpful staffs. I've been seeing denim all over the magazines lately so I know denim is going to be a huge trend this year, and instead of the usual denim jeans and jackets, I love how The JUBA Company has it in their own girly flavors - a denim dress. This dress features a subtle statement, a gold zip that runs from the top to the bottom of the dress. The fact that it is gold with a tinge of rustic brassy color is already enough to steal my heart. But when I put it on, I knew that was the one I wanted to feature in this post. It is not only minimalistic and romantic at the same time, it also fitted really well. Accessorizing was a breeze with so many accessories to choose from. I decided to go with a simple bangle with some gold accents to match the gold zip on my dress. 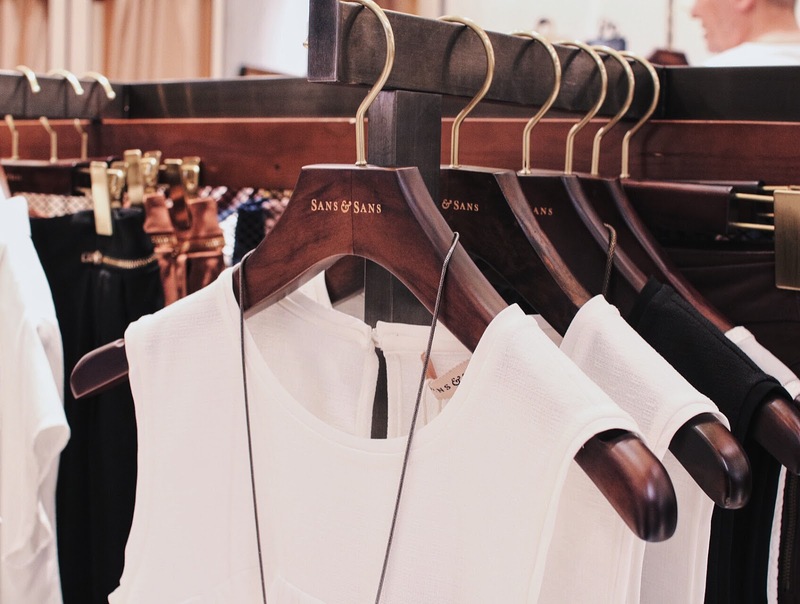 After visiting Sans & Sans, I am now convinced that I have one more shop to go to whenever I'm looking for any work appropriate outfits. Wearing their pieces made me miss reporting to work in working clothes LOL. Clearly, I'm obsessed with dressing up here, haha. But seriously though, Sans & Sans carry really gorgeous pieces like this one that I wore. A slightly khaki cream top with an interesting military touch to it. 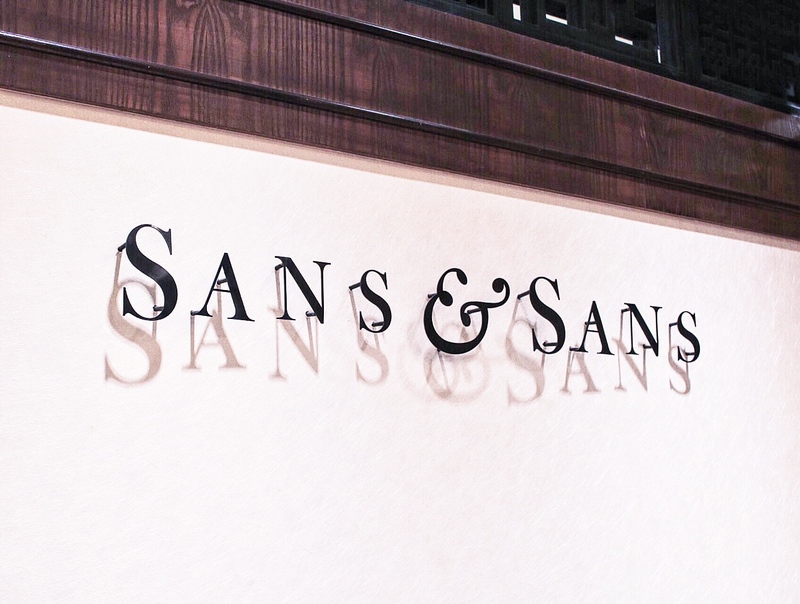 Sans & Sans' new spring collection features designs that are a result of mixing 2 very different cultures together - oriental and western styles. So you can see, the necklace I was wearing has 2 golden tassels at the end that reminds me a lot of the Chinese tassels we see a lot on lanterns and the traditional Chinese costumes. And the top features a boxy frame, and golden buttoned belt that also mimics the Chinese military costume. Now, how can we miss out the most colourful store... ever? 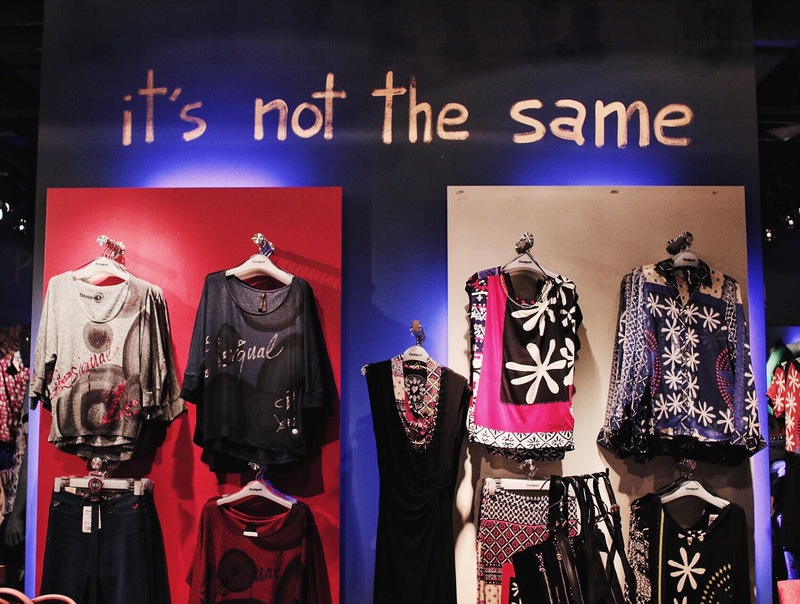 Seriously though, if you asked me to think of any other stores that love colours, spring and summer more than Desigual, I honestly can't think of any others. 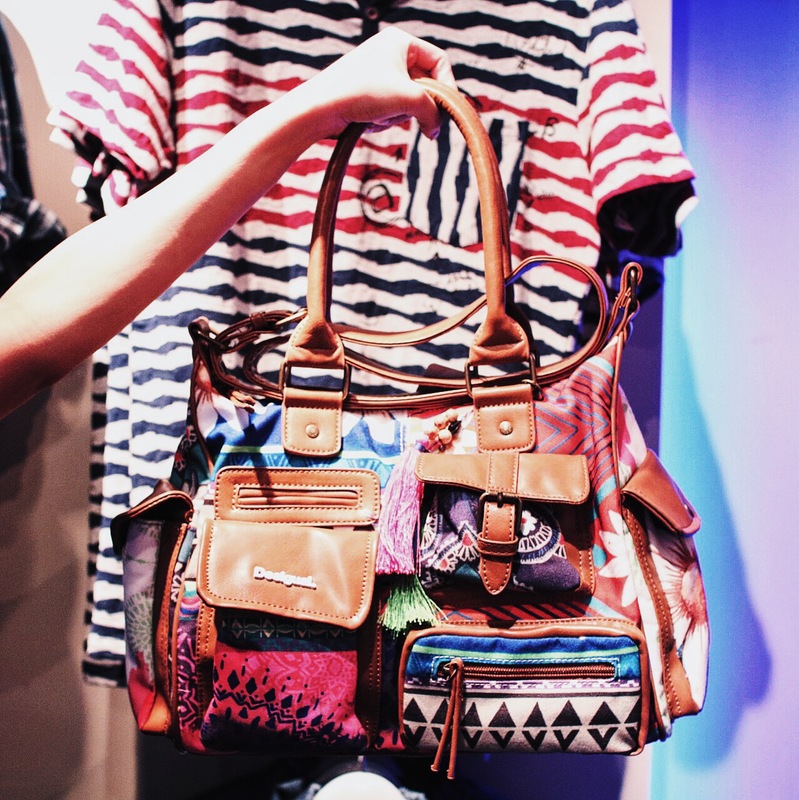 Stepping into Desigual always make me feel as if I stepped into an another world. It's so mysterious, tribal, yet happy and loud. Check out their designs and you will know what Im talking about, haha. Surprisingly though, I found a dress from their newest collection that wasn't as loud as their usual designs, so if you've always wanted to look for something more muted and simple from Desigual, pleaseee check out their latest range because they've got some really good pieces there! I picked this lace dress for myself that was so girly and feminine, which provided a really good canvas to go with their signature printed bags. Come to think of it, doesn't brands like this make you really happy? I feel happy just by looking at all these colours! I thought it's really amazing how even though we might think that having so many colours and prints together can be a little clash-y, it actually all falls very well together. So there you go guys! My take on the latest trends and how I would style them, according to the different styles. Now, another reason apart from the convenience of having all your favourite shops within a few steps away, the pros of shopping at Marina Square also includes the Shopping REWARDS the mall is offering to their shoppers! Not just 1, but 3 different shopping rewards! Stand to win a RAYMOND WEIL Maestro Automatic Moon Phase worth $ 3,610 with a minimum spend of $50* at any fashion/beauty outlet. Now till 30 April 2016.
with a minimum spend of $50 in a single receipt at any fashion/beauty outlet. The first 25 early birds will receive $100 vouchers from Posh Wellness! Snap a photo of your favorite bracelet at Nomination Italy (#02-191), post it on Instagram with a caption and hashtag #nominationitaly and tag @marinasquaresg. The top prize winner will win $500 vouchers and 5 other winners will bag home $100 vouchers each! Follow Marina Square on Instagram (@marinasquaresg) and submit your entries by 30 April 2016, 1159pm. What are you waiting for? Head down to Marina Square now! This post is brought to you by Marina Square, Singapore.